Writing for broadcast is a little different from writing for print, but the principles behind both are the same. Let’s talk about those principles in the context of newspaper copy first. Speaking of journalistic c.y.a., people sometimes wonder why “alleged” is used in news stories about criminal activity. After all, the cops have arrested the guy, people saw him at the scene, he’s confessed – why is the paper still calling him the “alleged” killer? Because he hasn’t been convicted yet, that’s why. And if the evidence is tainted, the witnesses are lying, the confession is thrown out, and the guy walks, well, it wouldn’t be the first time. A smart reporter keeps using weasel words until the perp is found guilty. Write tight: As true as this is in fiction – and it is true in fiction – it’s geometrically truer in news copy. Sentences should not be complicated; stick to subject-verb-object construction. Avoid using adjectives. Don’t use adverbs at all; find a stronger verb instead. Root out all instances of “there is” and “there are” and kill them – they’re a red flag that you’re venturing into the passive voice. As I said above, the rules are a little different for broadcast news. We’ll tackle those in part two. Lynne Cantwell has written for CNN, the late lamented Mutual/NBC Radio News, and a bunch of radio and TV news outlets you have probably never heard of, including a defunct wire service called Zapnews. She also taught introductory TV production at American University. Lynne’s vast overeducation includes a journalism degree from Indiana University, a master’s degree in fiction writing from Johns Hopkins University, and a paralegal certificate. She currently lives near Washington, DC. Her third novel and her first urban fantasy, Seized: Book One of the Pipe Woman Chronicles, was released in March. 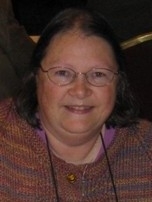 You can learn more about Lynne at her blog, her Facebook page, and on her Amazon.com Author Central page. Fascinating Lynne, thank you. Can't wait for the next edition. Lynne, fantastic post! I wish every author would read this – because what you say about "The Five Ws and an H" also rings true for book sales blurbs AND synopses. Thanks so much for sharing with us! Very true, btw, about sales blurbs and synopses. Those six elements are key to generating reader interest. This is such perfect timing for something I'm writing, I can't believe it! Thanks Lynne for a great post. I too am looking forward to part 2. This is a super helpful post. Thanks, I will use this info when writing the next novel. I tried to think of examples as I read this. Good exercise for me. Thanks. Heh heh – I was trained as a journalist, columnist and feature writer before I began this novel-writing caper, so I do wholeheartedly agree it's a different way to write altogether. In my novel Camera Obscura I include a report from a newspaper (about the Concorde that came down on top of a French hotel in 2000, remember?) I made sure that I went back to my old skills for that, and also researched the real reports that came out on British and French newspapers. Thanks for this – it's a keeper. Good for you for writing feature articles. I can't write a magazine-style lede* to save my life — I always feel like I'm backing into the story, lol. *For non-journalists, this is where the writer tells a little vignette (with or without real names) for the first paragraph or two, and then finally gets around to something that resembles a lede. And this goes right into the bookmark, because over 1/3d of my story is news articles. Thank you for the tips!!!!!! Good stuff, Lynne! I used to work for the late-1960s underground press, later on other papers and then p.r., and you've covered these crucial points extremely, exceptionally well! Thanks.